Augsburg faculty applaud at the announcement that the College received a $10 million cash gift for the Center for Science, Business, and Religion. 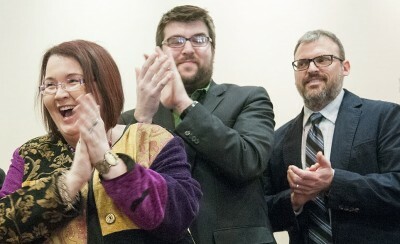 From left are Bridget Robinson-Riegler, professor of psychology; Mike Wentzel, assistant professor of chemistry; and Matt Beckman, assistant professor of biology. 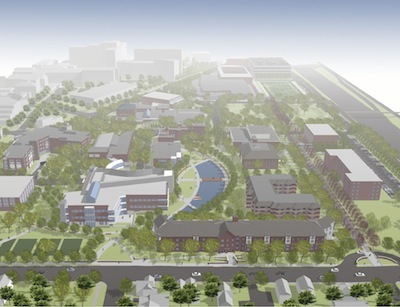 (MINNEAPOLIS) – Augsburg College is honored to announce that it has received a $10 million philanthropic gift to name a new, signature building on campus. This is the second gift of this size in the College’s history. 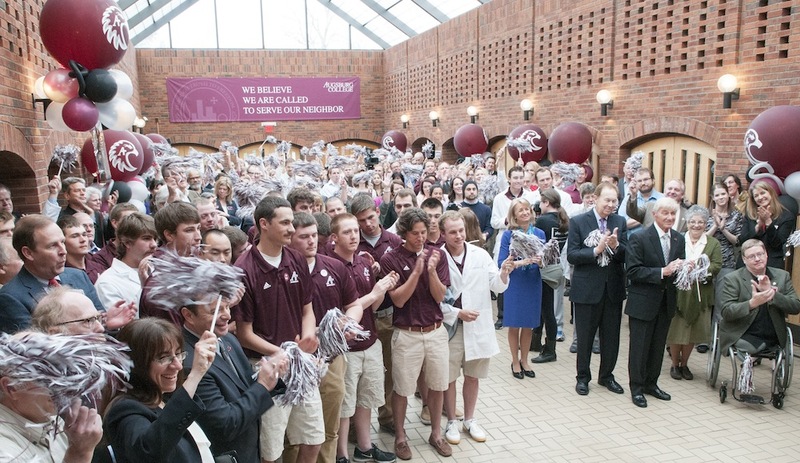 The donor’s generous cash contribution – which also is a naming-level gift – will support a new academic building that will house a number of the College’s academic programs including biology, business, chemistry, computer science, math, physics, psychology, and religion.